Our warm-up exercise was to draw a scene that could be found on a vintage plate. You know, those happy little scenes that are right in the middle of your Grandma's china? I did some internet searching (By the way, how do I not have any plates with scenes in the middle? I thought I spent too much money in Stoke on Trent not to) and found a couple on eBay that spoke to me. Obviously, I feel confident in my sketching and drawing abilities. The line quality is varied and loose and errors don't bother me. The final assignment called for "painting on a round piece of wood" and that's where I got really tight and hesitant. I am pretty terrible at painting figural things. No, really terrible. It's so hard! The last time I painted an object/thing has to have been in college, which is practically 13 years ago. I'm pretty sure I was no good at it then either. I supposed I could have opted to do a digital version and mock it up to look like it's on wood, but where's the challenge in that? I may as well work on my weaknesses. So, here it is. In all it's awful glory. Guess I'll stick to my day job. November was a big month for one of my favorite patterns, Geometric Blooms in black and white. A fellow stationery design friend, Sandra Picco of Sandra Picco Design, selected my Society 6 tote bag for her Friday Faves Black Friday Edition gift guide. See her whole post and shop the items here. Another stationery design friend, Renee Pulve of Smudge Design Co., Instagrammed the same tote bag. Many thanks to Sandy and Renee for putting this pattern in the spotlight! 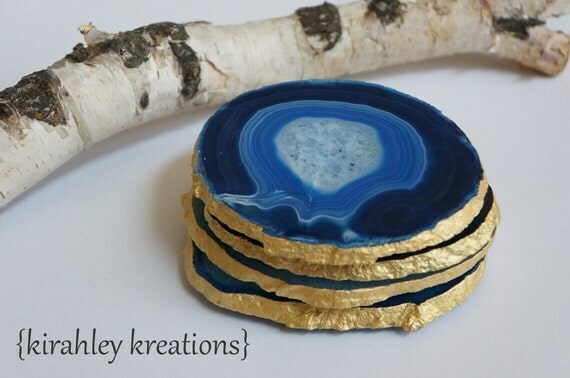 I don't know about you, but I've been seeing agate stone patterns popping up all over the place. It certainly feels like a growing trend in the home decor sphere and is even creeping into the stationery and art realm. 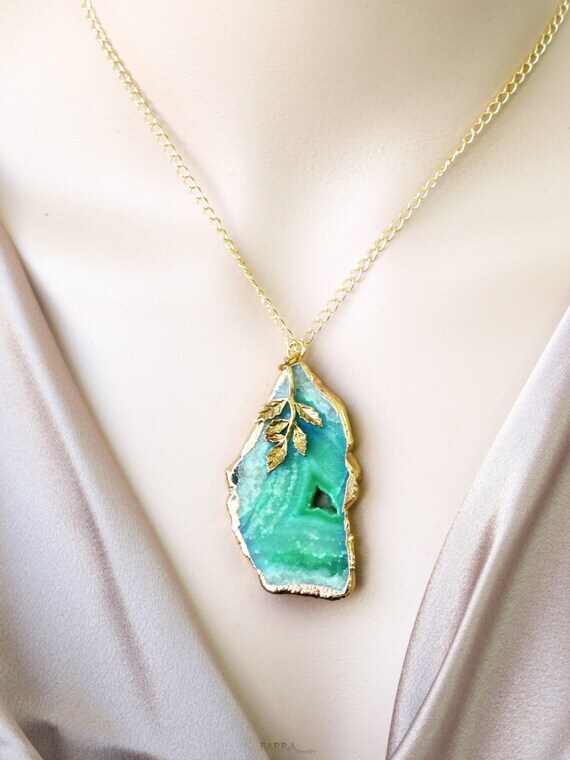 The most obvious way to get a little agate into your life? Buy some actual chunks of the stone and use them as bookends or coasters and dangly window decor. They even make beautiful jewelry! You can get the agate look on your wall with large sheets of hand-marbleized paper. Toss them in a frame and BOOM, instant art! Like this phone case, there are some great products with agate images to be found on Society6. If you love these gems of nature like I do, check out my Pinterest board devoted solely to the subject, Agate Crystal Gem. Ahhh, I totally just downloaded this lovely desktop background from OhSoBeautifulPaper. You must check out Mirdinara's site for more of her intricate and whimsically graphic illustrations! Super Fun Bedsheets for Adults DO Exist! I just finished making up the master bed and I thought to myself, "man, why are there no fun, patterned sheet sets for adults?" I knew West Elm had good patterned sheet sets and some cool, patterny duvet covers but I wanted to find polka dotted sheets in fun colors that were bright and fun but wouldn't scream "I still sleep in a queen because they make super hero sheets this size" or "I'll never grow up, mortgage be damned!" Curiosity sent me on an immediate mission to prove myself wrong. In the latest issue of HGTV Magazine I had seen a cute kids bedroom with white on yellow polka dotted sheets from Land of Nod, so I started there. See? So fun and bright! What a glorious selection of fun patterns and colors! Here are my more adult favorites (come on, I'd love those stars and lightning bolts but the other half would very quickly veto them) from Land of Nod, though keep in mind they only go up to Queen size. Mixed with rich solid colors, layered neutrals or even complimentary ethnic prints these sheets can easily go from kiddie to cool. Emboldened by these finds in the kids department I ventured forth with the obvious Google search "fun bed sheets for adults." When the top result was The Company Store, I smacked my forehead, DUH! If you're willing to shell out some more money for sheets Pine Cone Hill also has some colorful and fun options. To look at. I am delighted to report that there are many sources for fun bedding out there. An immediately obvious source is the ever delightful, Marimekko brand. You can find a good variety at FinnStyle here, and a few more at Crate and Barrel here. 4. All Modern has some gems in their bedding section with solid brights, ogee pattern, a super cool water splash pattern and many varieties of stripes, dots and even color-blocking. 5. Pottery Barn teen won me over with the fun cheetah, paisley, plaids and rugby stripe. 6. TrendHunter is really on the ball with humorous and fast food inspired finds. Why should kids have all the fun anyway? I just love when a slightly crazy idea comes together AND resonates with lots of people. These three designs will be added to Minted's baby collection this spring. I'll be sure to update when they're up for sale! It's been a long time since I shared a client project with you. This one is a bit of a departure from the stationery items that I frequently post. This time a good friend asked me to create a couple custom art prints for her first child's nursery. Shanna and I met while living in England. She's an independent creative like myself working as a photographer. She is the genius behind the lens of many of the "stock" photos I use in my shops and has taken the very best pics to date of me, my hubs and our pup. While she lives in Idaho now, she wanted to imbue her son's nursery with a sense of adventure and love of travel. Our first step toward collaboration was the Pinterest board she'd created of inspiring images. I LOVE when clients do this, it gives me such a great sense of their aesthetic and the kinds of elements and colors that they are drawn to. I prefer the "show me" angle Pinterest allows so much more than the "tell me" of written notes. With all of that visual stimuli in mind and her request for the "oh, what a wonderful world," quote, I was off to the digital drawing board. I knew I had to do something with a globe for the travel aspect and figured the quote would go well with that image. I also wanted to pay homage to the Russell's roots in Texas, where I knew there had to be a legion of adoring baby Russell fans just waiting to shower their love upon the little one. Shanna wasn't convinced because she had never seen any "Texas art" that she loved (this girl has the best taste, I can't say I was very surprised to hear that). Challenge accepted. Fast forward ... check out the final prints and her chic nursery. What a sweet little corner of handmade goodness and family heirlooms. So clever to put baby shower notes and foreign coins under a class side-table top. Plus, how cool is that textured lamp? Sweet chevrons in blue, grey and orange. An old dresser is given new life as a changing table with a coat of rich glossy blue paint and new handles. One last look at the knock-out nursery! Don't forget to check out Shanna's Pinterest for tons of style inspiration and and follow her page on Facebook to keep up with her wonderful photographic work.